Once upon a time, shoppers at the great American malls bounced from Sears to Bon-Ton to Borders Books and Circuit City, stopping along the way at all the smaller stores in between. Now the anchor model, which relied on big-box retailers to drive traffic, is fading. Sears Holding Corp. (SHLD.O) filed for Chapter 11 protection on Oct. 15, saying it will close 77 of its namesake stores in the next few months. Already, 24 per cent of those shopping centers have at least one vacant anchor of at least 25,000 square feet, according to CoStar Group Inc. Even before Sears disclosed its plans, those shopping centers were struggling to attract major tenants. Between 2007 and 2012, a cumulative 130 anchor tenants moved in, while just seven moved out. Since 2016, they have lost a total of 62 anchors, and only found 25 replacements. 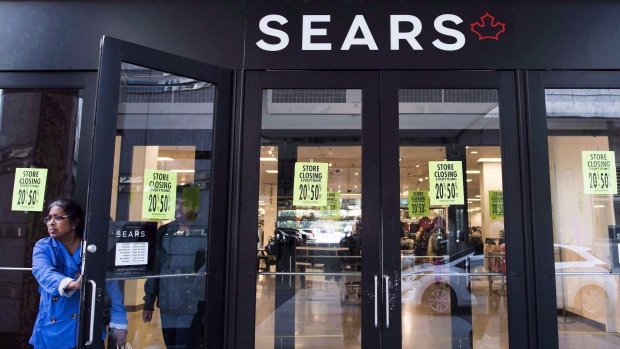 As Sears shutters stores, landlords will have to overcome the perception that the entire property is failing or risk losing other tenants, said Burt Flickinger, managing director of Strategic Resource Group LLC, a retail-advisory firm. The loss of traditional anchors doesn’t have to be a disaster, said Greg Maloney, chief executive officer of JLL Retail. Mall owners say that shuttered department stores offer the chance to release space to hipper tenants that pay higher rents, a process that takes time and money under the best of circumstances. At this stage in the slowly unfolding retail decline, no one will say they didn’t see the problems coming. Bon-Ton Stores Inc. filed for bankruptcy protection in February. Circuit City Stores and Borders Group went out of business in an earlier wave of bankruptcies. Traffic to Sears stores is down 44 per cent since March 2011, according to an index of daily parking lot counts compiled by Orbital Insight, which uses machine learning to analyze satellite imagery. Parking lot counts have held relatively steady over the last 18 months. Investors appear to have priced in Sears’s struggles, as shares in mall owners outperformed a broader index of real estate investment trusts following reports that the retailer was approaching bankruptcy. Some mall owners are targeting tenants like casinos, online retailers such as Bonobos Inc. or Amazon.com Inc. embracing the brick-and-mortar world, and less conventional concepts. Some malls have also been softening or eliminating co-tenancy clauses, which let smaller stores cancel leases or negotiate lower rents when a key retailer departs. Most replacement tenants will be more prosaic. Entertainment businesses, like restaurants and movie theaters, account for the largest share of rent from new tenant signings at Sears spinoff Seritage Growth Properties, according to a note from Deutsche Bank. Home goods stores and value fashion retailers were the next biggest categories, according to the note, which was based on a September investor presentation. The protracted decline of second-tier shopping centers has also created buying opportunities at a time when other commercial real estate sectors are priced at or near their peak, said Andy Weiner, president of RockStep Capital, which focuses on retail real estate in small U.S. cities. That has allowed opportunistic investors to buy at a discount and lower rents or re-purpose anchors into office buildings or medical space.